Swansea University-based biotech company Bionema has launched a product that can trap Chafer Beetles, whose larvae is responsible for millions of pounds worth of damage to grass and turf. BeetlesAttraAn ADAS Consultancy report has calculated the economic cost of Chafer Grubs at up to £85 million a year for golf courses in the UK alone, from lost income and damage repair. The report also highlighted that 40% of racecourses are affected by the pest’s damage and that lost income could amount to up to £605,000 per course. 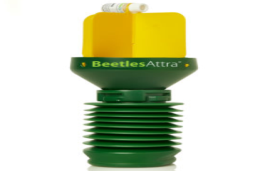 Bionema’s BeetlesAttra® Trap has been designed to attract and trap Chafer Beetles (Phyllopertha horticola and/or Hoplia philanthus) whose grubs eat the roots of grasses causing damage to lawns and turf and leaving visible sign of yellowish patches. Dr Minshad Ansari is the founder and CEO of Bionema, which focuses on the development of natural products to protect crops from insect damage and reduce the use of synthetic pesticides. Dr Ansari said: “Many traditional chemical pesticides that green keepers have relied on in the past have already been withdrawn due to their impact on human health and the environment”. The traps work by using a baiting liquid composed from naturally-occurring plant essences that are very attractive to Chafer Beetles. Trial results conducted by Bionema found that traps baited with a blend of natural essential compounds were more effective in attracting higher number of Chafer Beetles than other traditional traps. 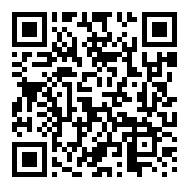 BeetlesAttra® is now available to green keepers, groundsmen and landscapers in both the UK and EU through dedicated distributors and Bionema.